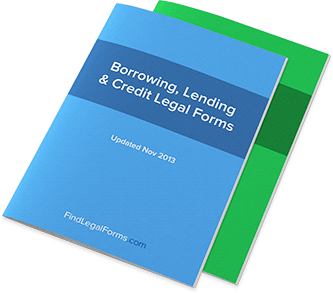 UK Borrowing, Lending & Collections Forms. Lawyer Prepared. Borrowing, Lending & Credit forms frequently used when entering into these business transactions. Included are Assignments, Guarantees, Credit Repair Kits and Indemnity Agreements, Loan Agreements and a variety of Promissory Notes. Agreements that set forth the tems and conditions under which a loan is made and how it will be repaid. Instalment Promissory Note with Final Balloon Payment (England and Wales) This Instalment Promissory Note with Final Balloon Payment is designed for use in England and Wales. This form is available for immediate download. Promissory Note - Instalment (England and Wales) This Promissory Note - Instalment is designed for use in England and Wales. This form is available for immediate download. Promissory Term Note (England and Wales) This Promissory Term Note is designed for use in England and Wales. This form is available for immediate download. Security Agreement / General (England and Wales) This Security Agreement is designed for use in England and Wales. This legal form is available for immediate download. Collection of Payment Letters (England and Wales) This Collection of Payment Letters packet is designed for use in England and Wales. These letters are available for immediate download. Letter from Debtor to Collection Agent (England and Wales) This Letter from Debtor to Collection Agency is designed for use in England and Wales. This form is available for immediate download. Loan Agreement - Long Form Our UK long form loan agreement should be used when lending large amounts of money that are typically secured by way of legal charge over a property (like a mortgage). Loan Agreement - Short Form Uncomplicated loan letter to be used in the UK when lending money. This loan letter documents the terms of the loan in a clear and concise way. Secured Instalment Promissory Note and Security Agreement (England and Wales) This Secured Instalment Promissory Note and Security Agreement is designed for use in England and Wales. This form is available for immediate download. Secured On-Demand Promissory Note and Security Agreement (England and Wales) This Secured On-Demand Promissory Note and Security Agreement is designed for use in England and Wales. This form is available for immediate download. Secured Promissory Note and Security Agreement (England and Wales) This Secured Promissory Note and Security Agreement is designed for use in England and Wales. This form is available for immediate download. Secured Term Promissory Note and Security Agreement (England and Wales) This Secured Term Promissory Note and Security Agreement is designed for use in England and Wales. This form is available for immediate download. Loan Agreement - Combo Package (UK) Get 2 forms for just $14.95. Save 40%! Best Value! Save Money by getting our very popular UK Loan Forms together in one convenient packet Borrowing Lending Premier Combo Package (England and Wales) Get 4 forms for just $16.95. Save 54%! This Borrowing Lending Premier Combo Package is created for use in England and Wales. This combo package is available for immediate download.